Fit Foodie Megha: Hub – Pivot for fun and food — Reviewed! Hub, located in extravagant Xion Mall, Hinjawadi opened its door to Pune on 7th May with a grand celebration with Indeep Bakshi. 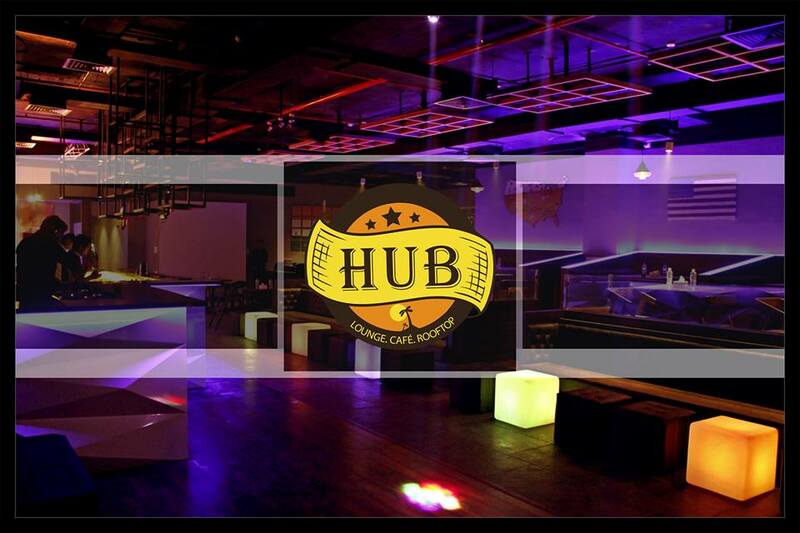 Hub is a lounge, cafe, rooftop and the only restaurant with entertainment planned for 365 days. The all-in-one property derives its concept from west and consists of an American contemporary lounge, an Indo Arabic rooftop with ritzy gazebos, live kitchen, 150 sq ft stage for fancy live acts to generate an exclusive dining getaway. On one lazy sunday, we planned to visit for their Indian Street brunch, which offers unbelievable value for money and the perfect solution for celebrating any occasion with lots of entertainment. The idea is to create a Sunday getaway experience like never before with mouth-watering street delicacies, classical fusion music, live painting and games like Tambola. The whole ambience is fun filled and it feels like a family get together. There is buffet spread and live counters for selected street food delicacies. We started with some freshy, fruity mocktails with addictive corn fritters. Corn Fritters, deep fried munching snack, was sort of bhel and not fritters! It was a well blend of corn, spices, tomatoes, onions! OMG! The taste still lingers! Recommended! Next on my plate was Chinese Style Baby Corn Fritters. Nice, crisp, bit oily and was stir fried with soya and chilli sauce for sour and tangy taste. Chef presented his favourite signature dish – Dahi ke Kebab. Crunchy layer with gooey centre and loads of flavours that bursts in your mouth. Totally loved the presentation. Small cycle with kebabs in the carrier and dip to accompany. Recommended! Hot and sizzling kebabs caught our attention. A Veg platter with all sorts of kebabs – Galouti, Seekh, Gilafi to name a few. Galouti, majorly prepared as non-veg dish, was given a veg twist with peas and were equally soft. Gol Gappe, or Angrezi gol gappe, as they name it were presented in a very innovative way. Small shot of flavoured water or mocktails with dips were placed along with a smooth set-up of puris. A different way! I could not resist myself to try each flavour. Paneer Tikka was medium spice well marinated and grilled to perfection. Paneer was soft and fresh. Recommended. Veg Pizza, medium size portion was generously loaded with cheese and veggies and drizzled with olive oil. Basic taste was missing though flavours could have been enhanced by adding oregano or chilli flakes. Jacket Potatoes were beautifully baked though filling could be improvised with beans, caramalised onions, sour cream or ricotta. We were not hungry enough to try anything more but there is a special place in stomach for desserts. Isn't it? One of my favourite dessert offered to us was Choco Lave Cake. Chocolatey, Gooey, Salty, Sweet, perfectly balanced! Loved it! Owner and Chef Abhiishek Sharma is a happy go lucky person and passionate towards his work. He is enthusiastic and one can ask for his suggestions before ordering.